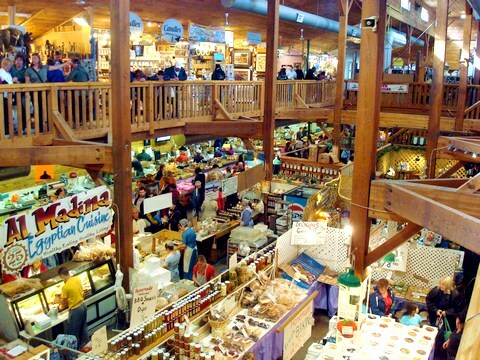 Day trip from the Toronto area to the St. Jacobs Farmers' Market, Outlet Mall and Antique Mall. Also includes visiting the village of St. Jacobs, Picard's Peanuts and get a very interesting bus tour of Mennonite country with a local Mennonite tour guide. Guided bus tour of Amish/Mennonite country with local Mennonite tour guide. 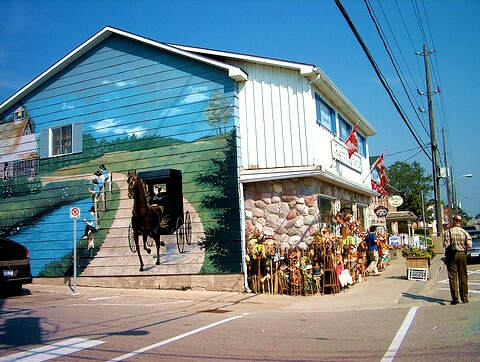 Visit a Mennonite General Store. Shopping opportunity at Picard's Peanuts. Visit to the beautiful village of St. Jacobs. 8:00 AM - Toronto - York Mills Stn. All prices are per person, in Canadian dollars. 13% HST is extra. After our shopping experience at the Farmers' Market, we go on our guided bus tour of Mennonite country with a local tour guide. 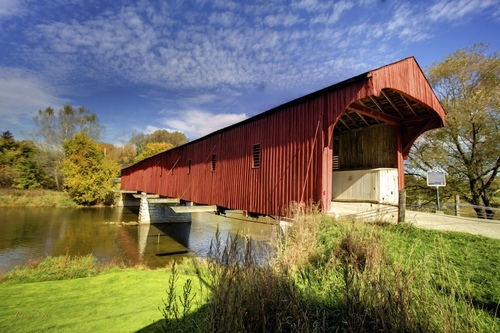 Included in this tour is a visit to a Mennonite General Store and to the kissing bridge, the last covered bridge in Ontario. There will be some wonderful photo opportunities for those you who are camera buffs. After our bus tour, we return to St. Jacobs to spend some time visiting and shopping in the quaint shops in this beautiful village. The main street and side streets are filled with shops of all kinds. Visitors usually go home with gifts, new pieces of art by local artists, intriguing Waterloo County handicrafts and furniture, food, antiques, books, clothing, toys...the list is endless. St. Jacobs also has The Mill. This is an old grain storage facility with silos that has been converted into a very unique museum and has exhibits such as the Maple Syrup museum, the quilt gallery and a model railway exhibit amongst other things.